Valentine’s day is just around the corner, and that means there is a lot of massages are making their way around. But offer your customers more than a massage product. We have all sorts of great products that your customers can pamper each other with. Sure massage oil fantastic, but there is more than your typical massage oil out there. We offer different massage products that are sure to unwind even the tightest of backs. Aquasperse massage oil: More than an ordinary massage oil, it solubilizes in water. That means you can easily wash it off without feeling like a buttered roll. And you can use it as a blooming bath oil. Massage Lotion: Our massage lotion is not just a regular lotion. It has Incredible glide while not being messy. After the massage is done the skin is left feeling nourished and nongreasy. 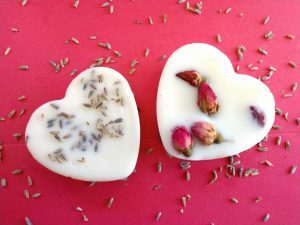 Lotion bar as a massage bar: This is a solid lotion that can be melted and poured into heart-shaped molds. 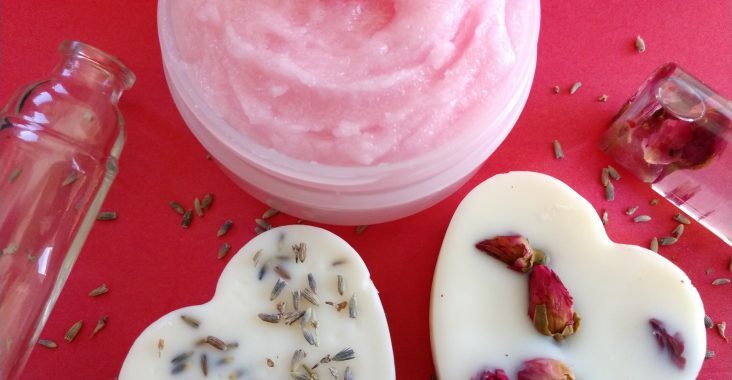 Add flowers such as lavender buds and it would make a gorgeous massage bar. Bubble Bath: Nothing says love like soaking in a tub of suds with the one you love. Filling bubble bath into champagne bottles is a creative way to package product. Bath Bombs: Bath bombs are always in demand. So our bath bomb recipe is great for this intimate holiday. 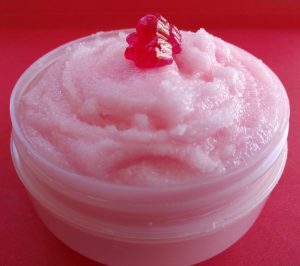 Sugar & Shea Body Polish: Rich in moisture, this formula is great for foot rubs. It leaves the skin smooth and moisturized. Foaming Bath Whip: This base can be made into a luxurious whip that makes a rich lather. Here is a link for the silicone bear molds we used to pour our jelly soap base in. It makes the cutest jelly soap bear toppers for pictures. Plus they are small enough for a one time use hand soap. Check out our valentines day filter under season & holiday. Also, essential oils are really popular right now. And it doesn’t appear to be changing anytime soon. So any mood promoting essential oil such as lavender is a popular choice. Whether it is essential oil or fragrance oil you seek, we highly recommend you use our visual fragrance finder.